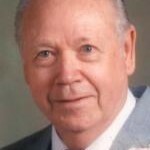 Sibley Marvin Edmiston of 192 Grace Village Drive, Winona Lake, Indiana, passed away on Saturday, December 25, 2010, at 5:48 p.m. at Grace Village Health Care, Winona Lake, Indiana at the age of 89. He was born on December 17, 1921 in Topeka, Kansas, to Lester Harry Edmiston and Leona Dantie (Dawson) Edmiston. Sibley was married on January 22, 1946, at Long Beach, California to Willetta Marie Hanson, who survives. He graduated in 1939 from High School in Pasadena, California. He then enlisted in the U.S. Army in 1942 serving as a sergeant in Italy during World War II until his honorable discharge in 1945. Sibley served as an interim pastor in Taos, New Mexico in 1949, and attended Grace Theological Seminary in Winona Lake, Indiana, from 1950-1953. From 1953-1965 he served as a Grace Brethren missionary in Mexico. After retiring from the mission field of the Brethren Foreign Missionary Society he worked as a postal carrier from 1966-1986. He was a resident of Kosciusko County, Indiana, for the past 25 years and was a member of Winona Lake Grace Brethren Church. He will be lovingly remembered by his wife, Willetta “Willie” Marie Edmiston (Winona Lake, Indiana); three daughters: Leandra Lawrence (Maysville, Kentucky); Linda (husband Richard) Dilling (Warsaw, Indiana); Lorraine (husband Dennis) Mullikin (Maysville, Kentucky); three sons: Richard Edmiston (El Cajon, California); Daniel Edmiston (Columbia, Missouri); Duane Edmiston (Silver Lake, Indiana); fifteen grandchildren, and twenty great grandchildren. He was preceded in death by his parents, one son, Douglas Edmiston, and three brothers. Visitation will be held Tuesday, December 28, 2010, from 4-6 p.m. at Redpath-Fruth Funeral Home, 225 Argonne Road, Warsaw, Indiana. His funeral service will be conducted Wednesday, December 29 at 10 a.m. at Redpath-Fruth Funeral Home, Warsaw, Indiana officiated by Reverend Tom Miller. Burial will be at Oakwood Cemetery, Warsaw, Indiana, with military rites conducted by the American Legion Post #49 and V.F.W. #1126 both of Warsaw and the Indiana ARNG Honor Guard.